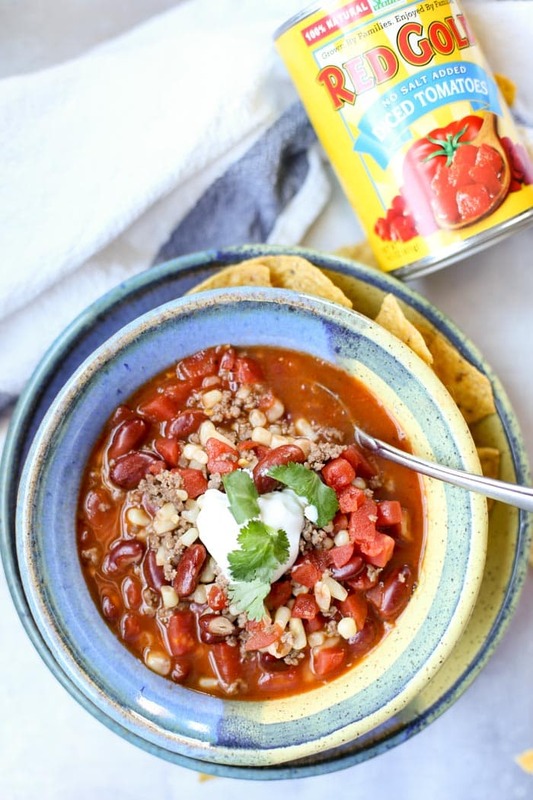 Easy taco soup for the win! 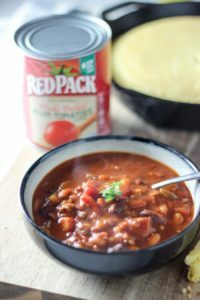 A hearty winter meal made with beans, ground beef and Red Gold diced tomatoes. When I’m on the hunt for easy and hearty, I turn to soup. Especially this time of year, soup is where it is at. So after uncovering this easy taco soup recipe from my grandma’s recipe box, I had to give it a try. 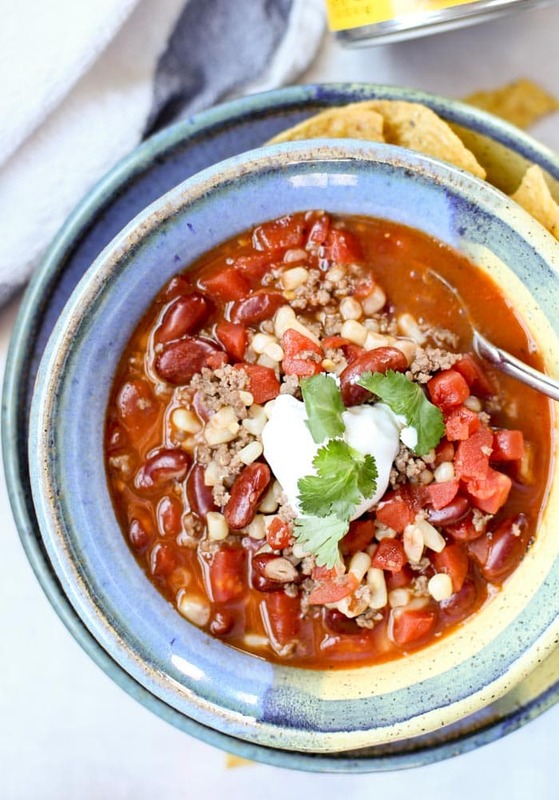 Pretty much you brown the hamburger, add the other ingredients and after some time simmering — taco soup! The start to any good soup is a good recipe. After that it is great ingredients. I am a little picky when it comes to my tomato ingredients. There reallllly is a difference in taste. Good tomatoes make good diced tomatoes, tomato juice etc. I’ve been buying RedPack at my local grocery stores and now the RedPack brand has been replaced with Red Gold. The label is the only thing that has changed. See! The exact same thing. 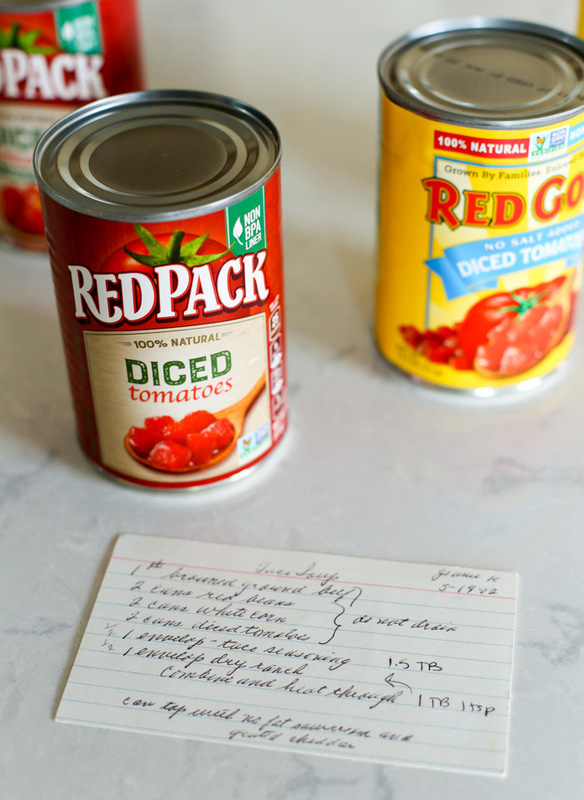 So when this recipe called for two cans of diced tomatoes and I had one of each – I had no concerns for using them both. Because good tomatoes are good tomatoes. 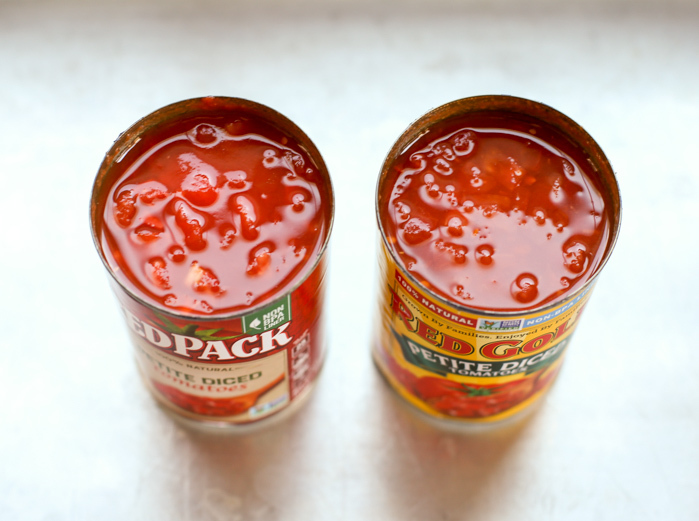 Both Redpack and Red Gold are made by the same family owned company, grown on the same family farm using the same great tomatoes. So pretty much, the same exact thing. How Long Does It Takes to Make Taco Soup? Brown the ground beef and drain. 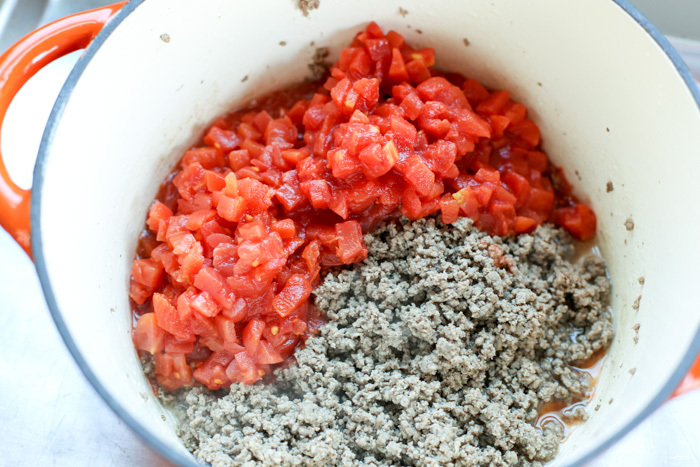 Add two cans of diced tomatoes, the red beans, white corn, taco seasoning and dry ranch seasoning. And then let it simmer. It could not be easier. 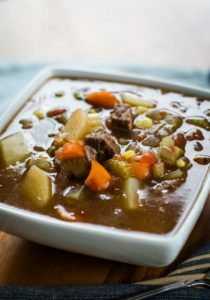 I had this soup ready with just 30 minutes of simmering. We served homemade quesadillas and tortilla chips with our taco soup. I also added a spoonful of sour cream and some chopped cilantro. Yum! Will I be making this soup again. Yes. I’m always making chili and this was a nice way to break it up. It also made great leftovers which is good because this recipe makes a lot of soup! 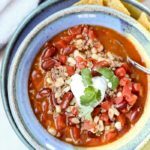 Easy beef taco soup! 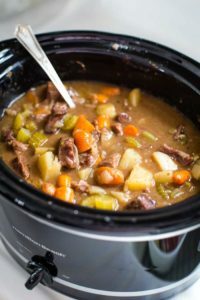 Can be made on the stove or in the slow cooker crockpot. Soooo good! 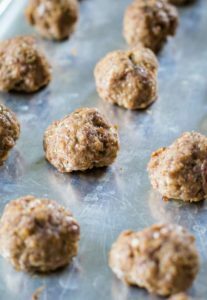 Brown ground beef and drain. To a large stock pot add cooked ground beef, red beans, white corn and diced tomatoes. Stir. Add taco seasoning packet and 4 teaspoons of dry ranch seasoning. Let simmer for 30 minutes. Serve hot topped with sour cream and cilantro. If you want more of a spicy kick then use spicier taco seasoning or add some green chilis. This recipe conversation was sponsored by Red Gold Tomatoes. All opinions are my own. This looks like winner! Full of flavors, quick from the stove to table, and who doesn’t like taco stuff? I love 30 minute soups, but the real question is who doesn’t?! With these flavors guests can think you slaved in the kitchen for a few hours to prepare this soup. You are just pure genius making taco into a soup! Love the idea! Hi, I’m Lynette. I’m a home cook, avid DIYer and mom. 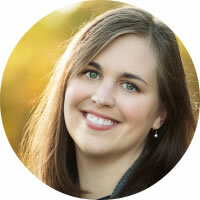 Whether I’m getting dinner on the table or redecorating a room in our 1800s Ohio farmhouse, I believe that a DIY approach and a little creativity go a long way in creating simple, smart solutions to everyday living. Learn more. 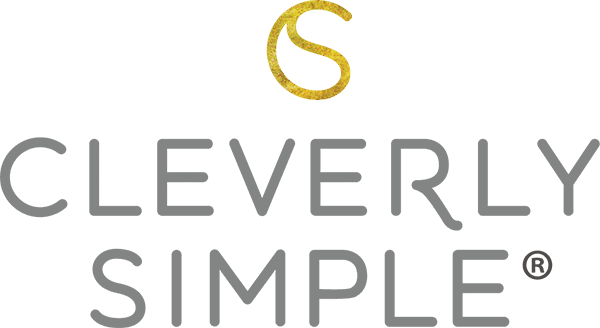 Copyright © 2010 – 2019, Cleverly Simple®. All Rights Reserved.